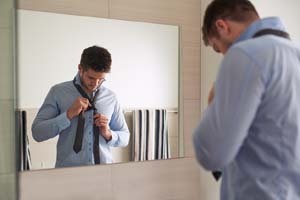 How to dress for success | MAX Solutions. If you want to make a good impression at an interview, it’s important to dress well to show your enthusiasm for the job. Here are some basic tips to keep in mind when dressing for a job interview. If you’re not sure what to wear, find out what the staff wear in the company you’re hoping to work for. You could do this by phoning the employer to check the dress code. You could also ask your employment consultant, a family member or friend. This research will ensure that you’re dressed appropriately for the industry you’re applying to. Wear a similar or smarter version of the clothing that the current employees wear. The employer may want to see what you can do or may have you start the job straight away, so you need to be wearing appropriate attire for the job. Ensure that the clothes you choose to wear are of current fashion and fit you well. Have them washed, ironed and ready to go the night before the interview. This will make getting ready easier on the day. Prepare your body and mind for the interview by getting enough sleep the night before. Have a shower in the morning and wear deodorant, brush your teeth and wear makeup if appropriate. It's important to cover tattoos and remove visible piercings, and refrain from smoking before a job interview. By presenting yourself well, you’ll create a great first impression with the employer and this is a great start for a positive interview.